Musk says a multipurpose vehicle with a rapid launch rate will dramatically reduce mission and manufacturing costs, helping fund SpaceX's Martian ambitions. The plan is to use the BFR to complete all of the smaller contracts carried out by its existing fleet of rockets and capsules—like taxi service to the International Space Station, or ferrying satellites into orbit—and to deliver bigger packages. The spacecraft's cargo bay, Musk says, could accommodate a telescope with a mirror 10 times the size of Hubble's—enough room to shuttle multiple customers' payloads at once. 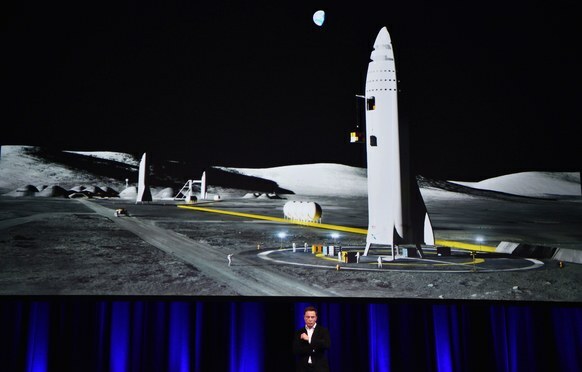 When he showed a slide of the BFR docked to the International Space Station to suggest another task it could handle, the audience laughed. The BFR, true to its name, looked ridiculously large beside humanity's orbital outpost. Musk’s proposed timeline for SpaceX's first interplanetary missions is characteristically ambitious. The company hopes to complete a pair of BFRs by 2022, and development is already underway. Musk says SpaceX's engineers will repurpose much of the breakthrough technology that led to beating the Russians in launches this year and its recent $21 billion valuation: The BFR's propulsive landing system will crib from the Falcon 9's, and its automatic rendezvous and docking system will take inspiration from the crewed Dragon capsule. 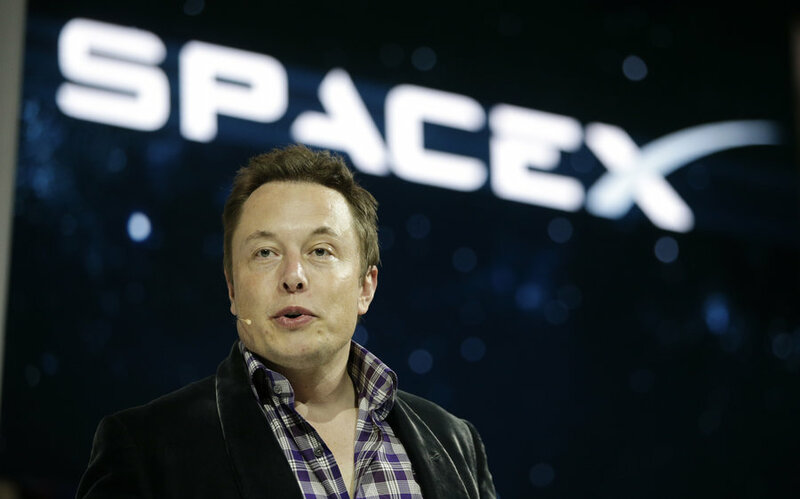 According to Musk, Dragon has also helped SpaceX develop the heat shield technology that will be responsible for keeping crew safe upon atmospheric reentry. The company plans to fill the first two BFRs with equipment and materials to build a fuel-processing facility on the planet’s surface. Musk says SpaceX will also try to identify possible water sources and catalogue potential hazards during the first mission. At least 26 months later, when the Hohmann transfer window reopens allowing the shortest distance of travel between Earth and Mars, SpaceX hopes to launch four more of its interplanetary spacecraft—with two of them carrying passengers. The goals of this mission will be to bring more essential cargo to Mars and to begin building facilities to produce and store fuel, refine water, and grow plants. 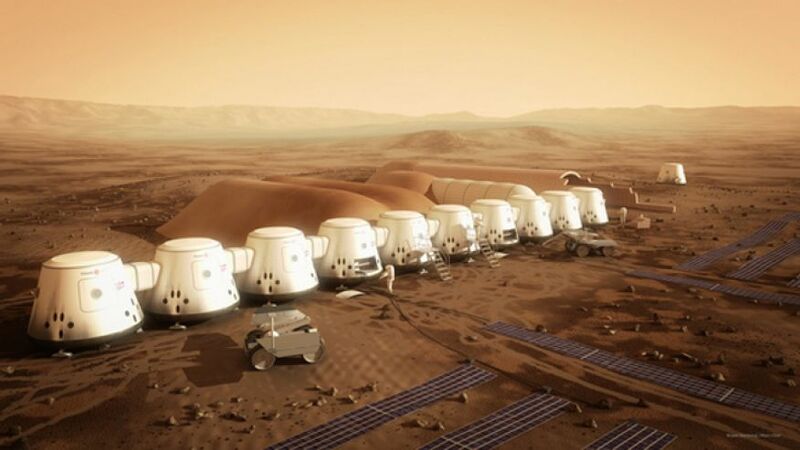 Will the first human mission to Mars happen in 2024? Probably not. Even Musk admits the timeframe is something to aspire to. Preparing the spaceship for its interplanetary journey, alone, will be a tedious and exacting process. The BFR will need to not only park the spacecraft in orbit, but make multiple trips to and from Earth's surface to fill its fuel tanks. This makes precision rocket return, automatic docking, and refueling the most critical features of the BFR, according to Musk. The trip to Mars could last anywhere between three and six months. Musk says the spacecraft's 40 cabins will each hold 3 passengers comfortably, but accommodate as many as 6 apiece. In order to get the passenger ship back in Martian orbit for a return trip, the BFR requires no booster due to the planet’s lack of atmosphere. All the ship needs is a full tank of oxygen and methane produced by the fuel processing facilities constructed by SpaceX. The more immediate challenge? Demonstrating safety. Talking about building and colonizing a city on another planet is one thing, but the reality is SpaceX has yet to launch a single human anywhere, let alone send a spacecraft beyond low-Earth orbit. Musk will need to execute the next several steps in his timeline as flawlessly as possible. The company has already suffered two fiery losses that have set them back in development, and another could cast serious doubts on SpaceX’s ability to safely transport humans anywhere—especially to another world.